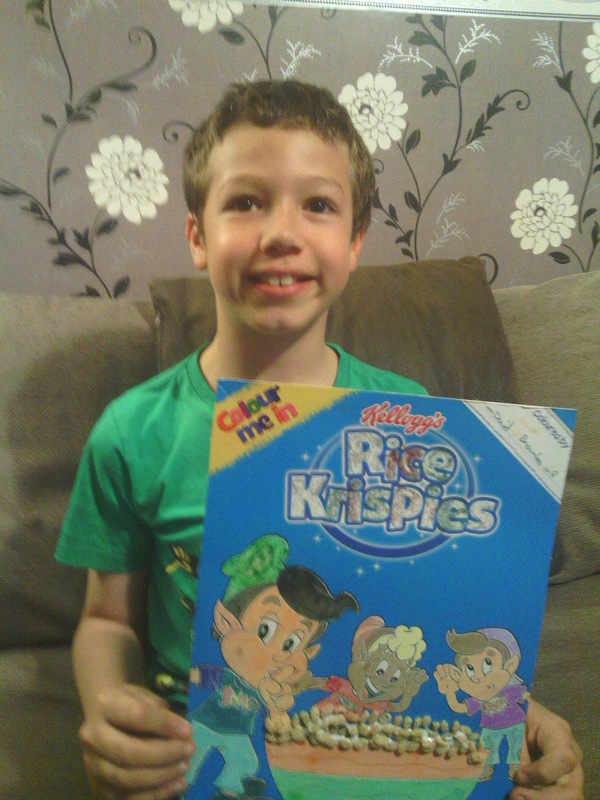 This is my post as I am taking part in the BritMums and Kellogg's Rice Krispies - the #ColourMeInRK project with my son David, aged 9. David was very pleased we were chosen to take part in this project. We are all big fans of Rice Krispies in our household. We love doing arts and crafts too, so this really was a perfect project for us. I received a special box of Kellogg's Rice Krispies - whereby they have replaced the normal box cover with a special colour in front of Snap, Crackle & Pop along with a big case of colours for David to colour in as he wanted. 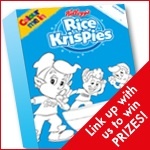 There are also fun activities on the Rice Krispies website and their colouring in picture is really fun as once you've had the fun of colouring in the picture, you also get the fun of bringing your picture to your life with their fab animation feature! 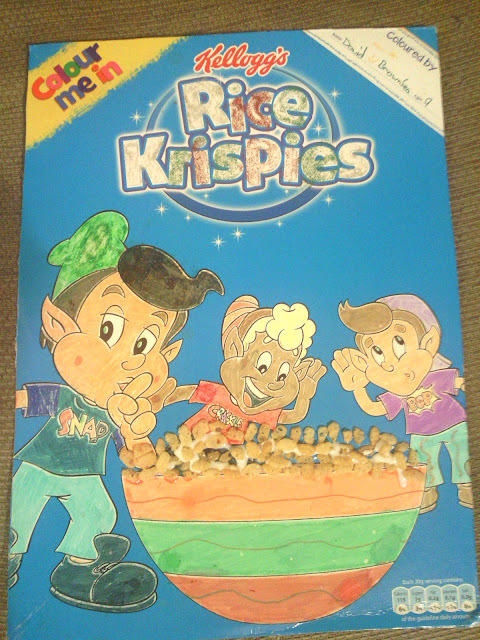 We cut the front of the box to make it easier to colour in, because David was very eager to get started but didn't want to risk crushing up his Rice Krispies! 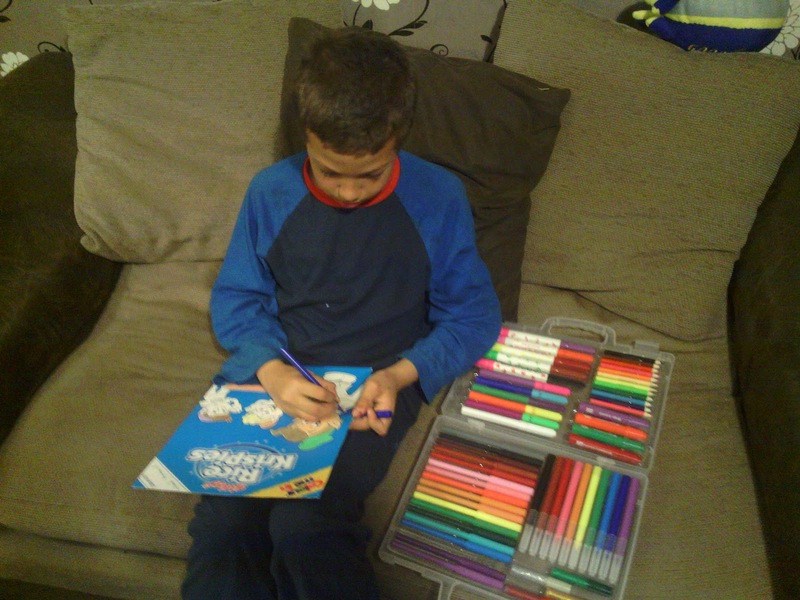 Here's David making a start on his colouring in. This project was really good, it kept David happy and entertained for hours. You can't smell it from my blog lol, but he coloured in some of the picture with scented colouring pens! He wanted to make it as colourful as possible and that he most certainly did! He also used some actual Rice Krispies to stick on the top of the bowl for effect which I thought looked really fun! He used glitter glue for the lettering, but it doesn't show up very well in the photo. I think this whole concept was a great idea from Kellogg's - something to keeps the kids entertained on a rainy day or in the school holidays and it's made that bit extra fun by the fact that it is well known characters the kids get to colour in. Snap, Crackle & Pop are characters that most kids would instantly know. that's a really good design, a career in art and design beckons! 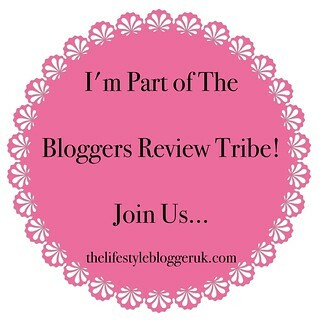 I didn't do this comp but looked at many bloggers entries. Your son's was good. Did he win?